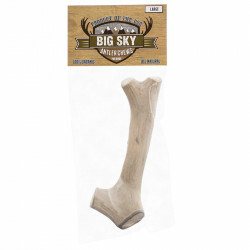 Big Sky Antler Chews for Dogs are made from natural North American Elk and Deer sheds. 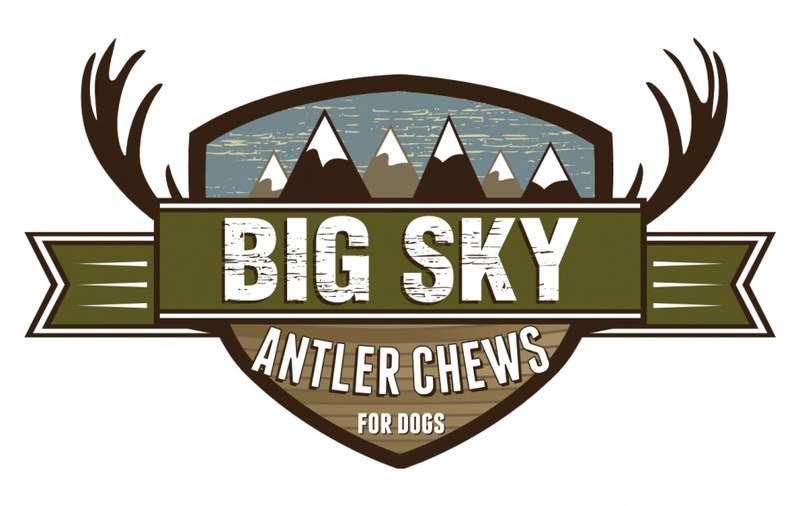 Formed with the hardiness of the prairie, Big Sky chews are rugged, long-lasting, and the perfect solution to your dog's chewing needs. 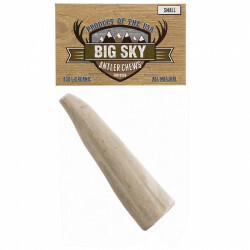 Big Sky antlers are 100% natural, with no plastics, petrochemicals, empty starches or artificial flavors. 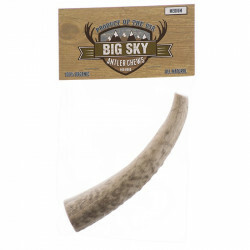 Each Big Sky antler is sourced and packaged in the United States. Be sure to browse all of our Big Sky pet products to make sure you find just the right product to satisfy your pet's needs. 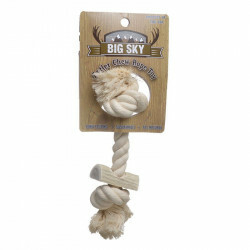 Pet Mountain is pleased to be a leading vendor of great Big Sky pet products. 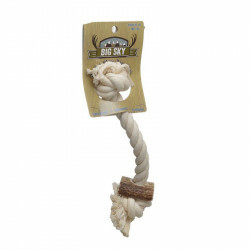 Pet Mountain is proud to offer you a wide selection of Big Sky pet products, at the very best prices available anywhere! Take a look at all of our huge selection of great deals! Can't find something you're looking for? Let us know! We'd love to help. Be sure to check out our online coupons and discount shipping on all your favorite products.